Did you say clam chowder, or ham chowder? It’s a tongue twister, but this ham chowder holds it’s own in terms of texture, heft and creaminess. Chowder is seen as a comfort and a splurge because of it’s rich and thick qualities. But this warming ham chowder is made with nourishing ingredients like coconut milk, butternut squash and chicken stock. This recipe is autoimmune friendly — so if you have an autoimmune condition and are avoiding eggs, nuts, nightshades or other non-AIP compliant foods, this is a great soup to add to the rotation. 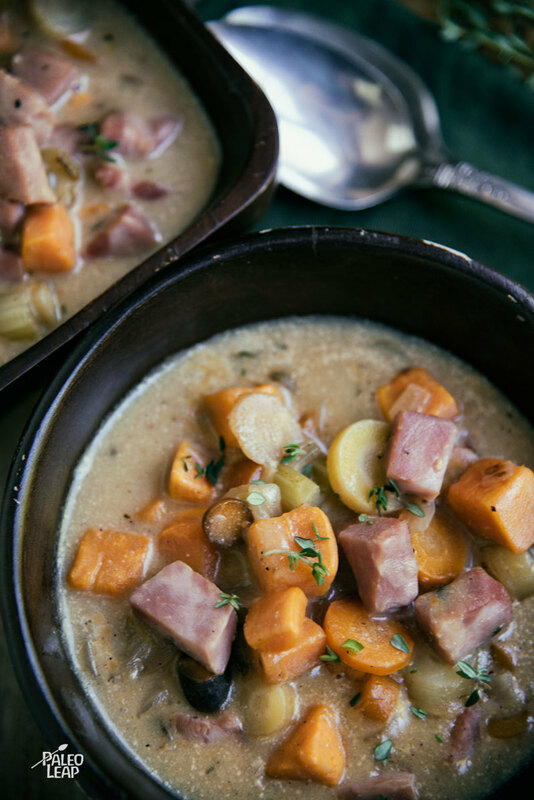 There’s plenty of depth and flavor from the stock, thyme and ham to make this a complete meal. If you have leftover ham from a holiday meal, this would be a great recipe to chop up and use the leftover ham. And because this chowder is complete with fat, protein and carbohydrate, it’s a well balanced meal to keep you satisfied! Add onion, garlic, carrots, celery and butternut; cook for 8 to 10 minutes. Deglaze the saucepan with the chicken stock, scraping the bottom of the pan. Mix in the thyme, cooked ham, and season to taste. 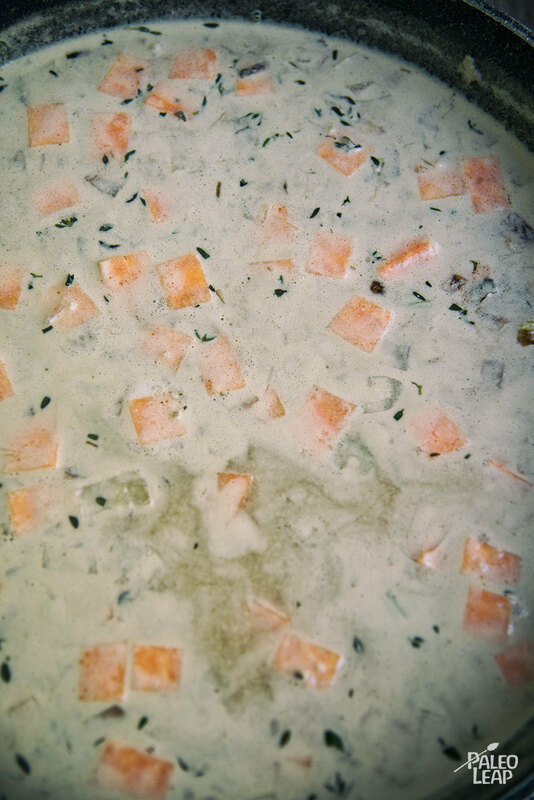 Pour in the coconut milk, bring to a boil, and lower heat to a simmer and cook for 10 to 12 minutes.